2. Are OTC & Penny Stocks the Same Thing? Although it is easy to get caught up in the frenzy surrounding some of the most popular – and expensive – stocks available on the market today, many new investors make the mistake of thinking that these "guaranteed" winners are the only real attractive picks available. This particular belief fundamentally ignores the fact that even the market's most valued shares reached this level of prestige after years of slow growth. Whether or not a company thrives on the market is up to a variety of factors, but there is no denying the fact that even great stock picks can start out as inexpensive shares. Dollar stocks and penny stocks are great examples of inexpensive market picks that provide investors with a high-risk tolerance the opportunity to get in on what may become the ground floor of an acclaimed market run. That being said, understanding the volatility of the penny and dollar stock marketplace is also a crucial aspect of responsible investing. Dollar stocks, also commonly referred to as penny stocks, are inexpensive shares that can only be purchased through the over-the-counter market rather than major exchanges. The terms "dollar stocks" and "penny stocks" are often used interchangeably in order to refer to any security that is valued around $5 or less. In many situations, these stocks will be trading for a significantly lower price point than the $5 upper threshold. For some investors, the low entry point to owning shares makes these stocks appear to be an attractive investment. It is not uncommon for investors to snag thousands of shares of these cheap stocks in order to secure a large position in the event that the stock prices soar at a later point. Given their relatively cheap price, many of these stocks will not qualify to be listed on established platforms such as the New York Stock Exchange. Each major exchange carries its own unique listing requirements. As a general rule, however, investors who are interested in dollar or penny stocks can usually find the majority of these offerings in what are referred to as the pink sheets, a comprehensive listing of stocks that trade in over-the-counter, or OTC markets. Although it is possible that dollar and penny stocks may transition from the OTC markets into more regulated exchanges, a variety of highly stringent requirements must first be met before the world's most popular exchanges will accept them for public trading. In an industry where reputation, trust and credibility are immensely important, many major trading exchanges simply do not wish to take the risk on promoting dollar and penny stocks. Some of the most common requirements for stocks to be listed on major exchanges include obtaining a designated minimum market capitalization, as well as a minimum per share price and minimum monthly trading volume, among other requirements. In essence, the majority of these requirements are designed to ensure that the listed stock will be as stable and secure as possible for investors. Additional requirements related to board members and financial disclosure help increase the level of transparency attached to these stocks. Ultimately, a stock which has been selected for listed on a major exchange is likely of the highest investment pedigree. That does necessarily mean, however, that investors will reap gains from them. The OTC markets operate independently of major stock exchanges. During an OTC transaction, shares of a company are bought and sold through direct exchanges of buyer and seller rather than through an intermediary. As a result of their independent activity, these markets are typically not subjected to the same level of scrutiny as could be found in the major indexes. Regulation is significantly limited. There are key advantages and disadvantages to the OTC markets. One advantage of these trading networks is that investors can access products such as dollar or penny stocks at their convenience. When OTC markets are added to an investor's portfolio of opportunities, the variety of investments increases dramatically. That being said, the OTC markets also carry their own fair share of disadvantages. Given the significantly smaller investor pool, liquidity can become a serious issue in situations where individuals are trying to quickly sell shares. Consequently, it is not uncommon for OTC markets to feature an additional degree of volatility relative to standard indexes. In summation, OTC markets are significantly more dynamic than standard exchanges and, as such, offer just as many dangers as opportunities to both season and inexperienced investors alike. Generally speaking, dollar stocks are considered to be a highly "speculative" investment. The inherent risk involved in these stocks – be it through the lack of regulation in OTC markets or the relatively unproven nature of the companies in question – creates an environment in which investors should be prepared to lose a significant portion of the money they invest. For many investors, dollar and penny stocks represent a "high risk/high reward" scenario. Risk is further compounded by the fact that the OTC marketplaces are filled with illegitimate stocks that act as barely concealed scams. It is not uncommon for individuals holding a significant number of shares of a penny or dollar stock to falsely promote upcoming events or announcements affiliated with the stock, encouraging other investors to purchase shares and drive up the price. At a designated point in time, the original investor will sell all of their holdings, reaping immense profits and heavily diluting the share price. This "pump and dump" scheme is all too common in the OTC markets where regulatory forces literally cannot enforce any form of control or oversight. Although penny stocks and dollar stocks are not the ideal investment for those who are risk-averse, there are certain methods you can use to assess on some level whether or not one of these picks is truly a viable option. Thorough and proper research remains the best method for ensuring that a penny or dollar stock is not a scam. Take the time necessary to research the company in question on an in-depth level, seeking out information concerning their corporate history, the past performance of their stock (if available) and other pertinent information that can be found in news articles, the company website or any other online platform. One of the most common tools that penny and dollar stock scammers use to pump their specific holding prior to the inevitable dump is massive promotional emails sent in bulk to a generic pool of individuals. If you have received a "newsletter" from a source that you previously have not subscribed to that praises a particular dollar or penny stock, this is a good sign that the shares in question may be part of a larger scam. This is not a guaranteed indicator of fraudulent activity, of course, but it remains a favored tool of scam artists seeking to fool investors in OTC markets. When in doubt, always approach penny and dollar stocks investments with a small degree of cynicism. After all, if something appears too good to be true, it typically is. The best way to secure profits in this marketplace is to gain as much knowledge as possible about the particular stock in question and the particular company it represents. If you are ready to begin buying dollar shares, you can do so using a variety of reputable online brokerage services. For example, online platforms such as TD Ameritrade, Fidelity, Charles Schwab and others all allow individuals to select and purchase penny and dollar stocks as they see fit. Just because a stock is inexpensive, however, does not mean necessarily that individuals will be able to pay reduced commission fees. Typically, online brokerage services will require individuals to pay a few dollars for each trade they make using their platform. If someone is buying $150 shares, this commission fee won't seem like such a large expense. However, the relatively low price of dollar stocks will make these commission fees appear massive in comparison. With that in mind, investors should carefully plan their investments so as to ensure that they don't spend more money on commission fees than the stocks themselves. As a general rule, it is always valuable to sway toward the side of caution before committing to an investment. This rule is especially true when it comes to dollar or penny stocks. It is all too easy to be swept in by the allure of a near-worthless stock skyrocketing into the upper echelons of share value. However, scenarios such as this are by far the exception rather the rule. For each penny or dollar stock that does achieve noteworthy rates of return, dozens fail completely. With these ideas in mind, investors should seriously consider diversifying their portfolio beyond dollar and penny stocks into more stable investments. Although stability may seem less exciting than the dynamism of the OTC markets, it pays to have a somewhat consistent investment in your portfolio that will likely achieve some form of positive growth in both the short- and long-term. An investment advisor can help you explore various opportunities open to you and help you create an action plan that mirrors your own investment goals and risk profile. If, for example, you are in your early 20s and have ample time to save for retirement, high-risk stocks may be the perfect match for your portfolio. However, if you are nearing retirement and are in the market for something that will help sustain you through your golden years, you should likely be as risk-averse as possible. These ideas and strategies merge seamlessly into a well-rounded and diversified portfolio. Successful investing is as much a product of savvy trading as it is risk abatement. 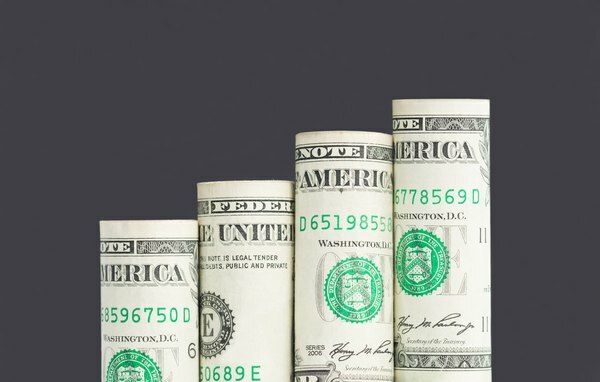 While the possibility of striking it rich with dollar stocks certainly does exist, you may discover that consistent, albeit smaller gains on a regular basis are also quite attractive. Regardless of which strategy you choose, always ensure that you are making informed, educated decisions when it comes to your investment portfolio. Ryan Cockerham is a nationally recognized author specializing in all things business and finance. His work has served the business, nonprofit and political community. Ryan's work has been featured on PocketSense, Zacks Investment Research, SFGate Home Guides, Bloomberg, HuffPost and more. How do I Invest in Penny Stocks on the Pink Sheets? How Much Can Penny Stocks Fluctuate in a Day?